Established by two engineers, with over 35 years’ collective experience in the plumbing and commercial heating industries, CH Systems promises consistently high standards of service. Our priority is to accommodate the unique requirements of our clients by providing bespoke design, installation and repair as well as contract services and maintenance solutions, for a diverse range of appliances in a variety of building types. Appointing a contractor registered with Gas Safe ensures that the contracted installation team is competent and qualified to work with gas, both safely and legally. CH Systems is committed to a high quality of service and unrivaled competence. All members of the London/Kent commercial boiler services heating team are fully qualified and regularly attend training courses to ensure their knowledge is constantly updated. CH Systems is committed to excellence in health and safety.  As a member of regulatory associations, including Gas Safe, we are able to ensure that all installations are carried out in compliance with the latest regulations governing health and safety in the workplace. The Building Advisory Service is commissioned as our health and safety consultant, which confirms that we are up-to-date with the ever-changing health and safety and British Standards requirements.